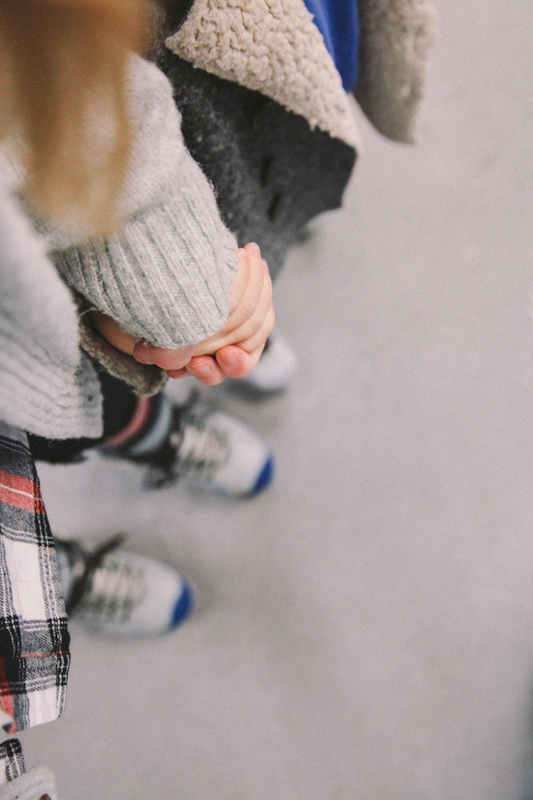 the daybook: to the ice rink! 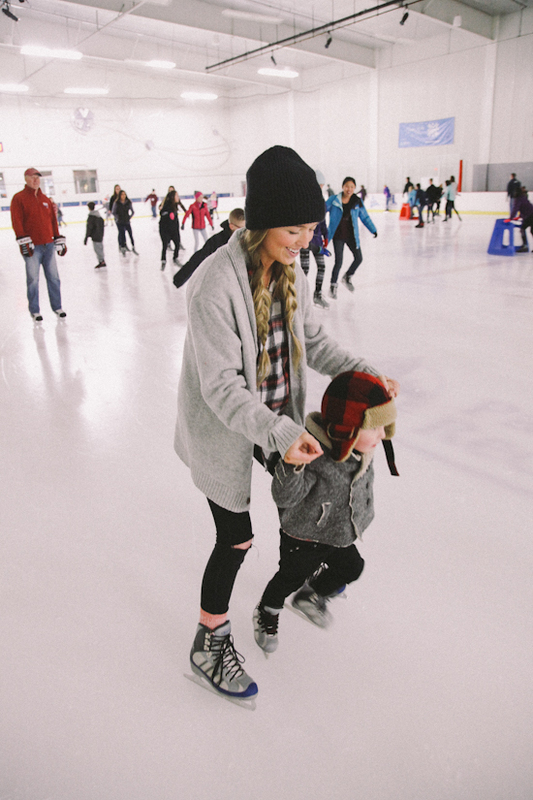 We took Everett ice skating for the first time this week, because what better time than the week of Christmas? haha jk. 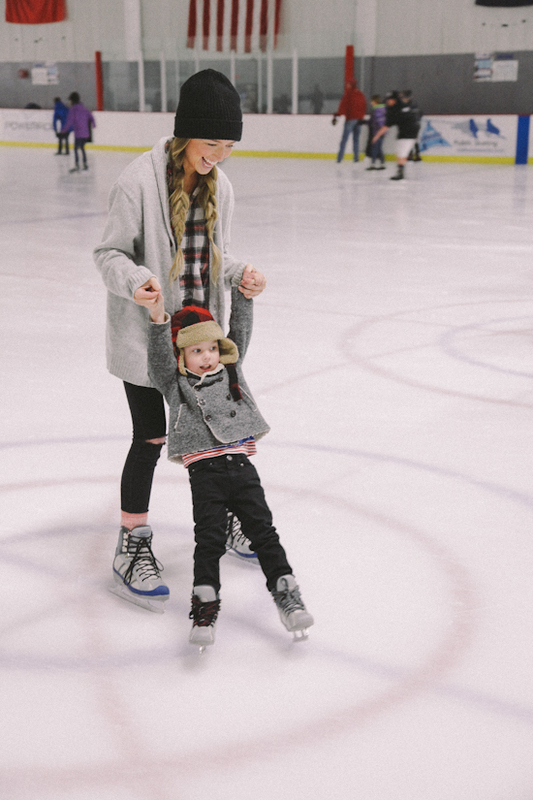 There are a thousand other times that are better than the week of Christmas, when every single person and their mother is at the ice rink. But you know! We loved it. It was all very jolly and filled with the spirit of holiday break solidarity! 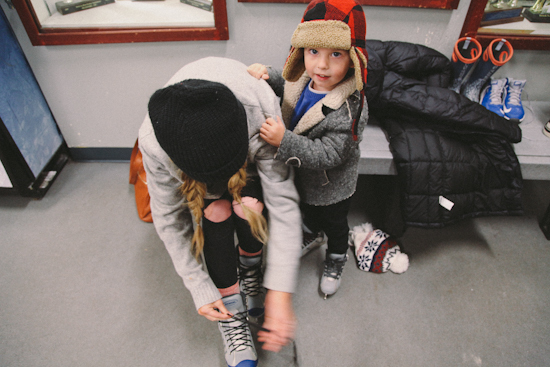 Here we have the inaugural lacing up of the ice skates, right after the other inaugural, "Daddy these ones are too tight for me, I turned fourrrr remember??" 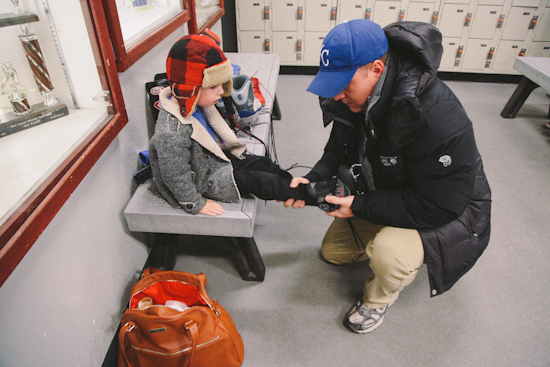 Here we have Everett hanging on for dear life while getting his bearings on his new ice skate legs. And here we have a peek into my diaper bag. If you think my wipes and diapers are lacking in the aesthetic department, dude you should see what's under them. haha! I wish it was funny. Lotion is an essential part of my daily life as a mom and also, as a human with very dry winter skin. Especially during winter activities. Vaseline has been a part of my basic beauty regimen for 27 years now, I don't know when I've ever gone without a giant tub of it in my bathroom somewhere. All of us need a daily slathering of deep moisture in this Idaho winter, so along with diapers and wipes, this stuff comes everywhere with us too. 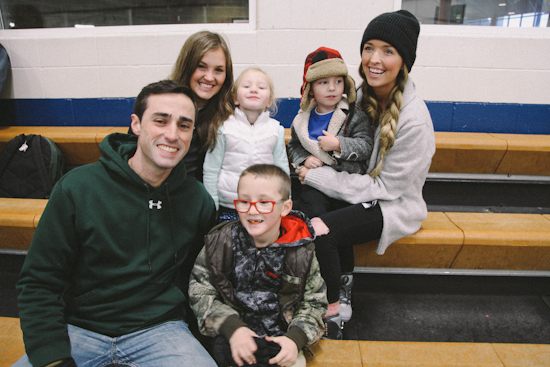 We met Everett's cousins and very best friends there, and all of us skated around and stared in jealousy at the people who had gotten their kids to the assist-sleds first. 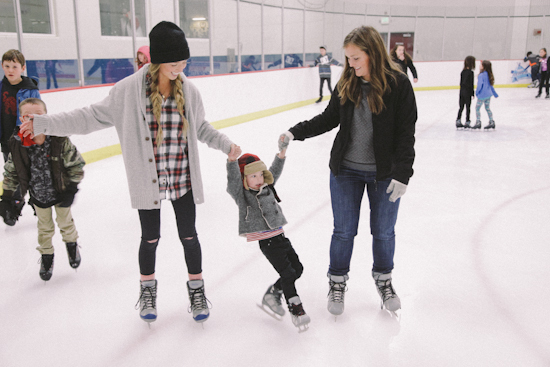 The entirety of Everett's skating experience involved dangling by his arms while his legs splayed out in every direction. 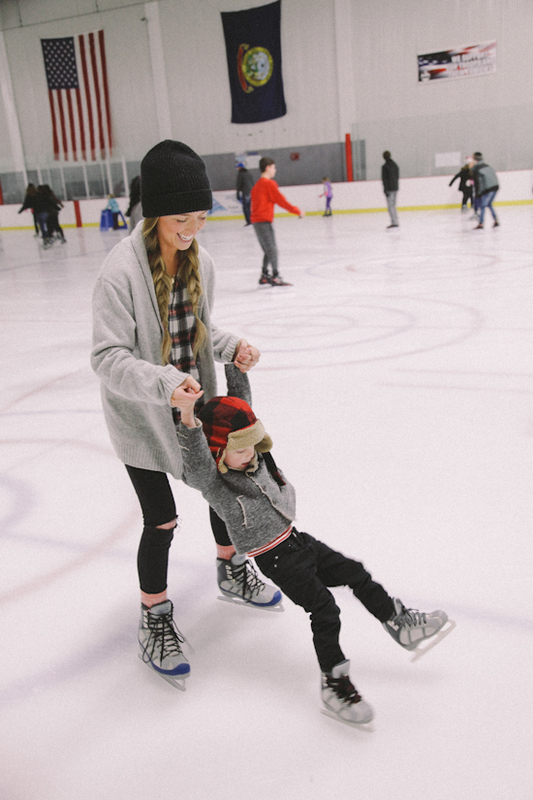 I thought that he would've rated the afternoon firmly in the thumbs down direction, but he was SO THRILLED with all of it, that it was a battle to even get his skates off when we were done. They say that going twice around the rink like this without stopping is really good for your back. Aaaaand that was that. 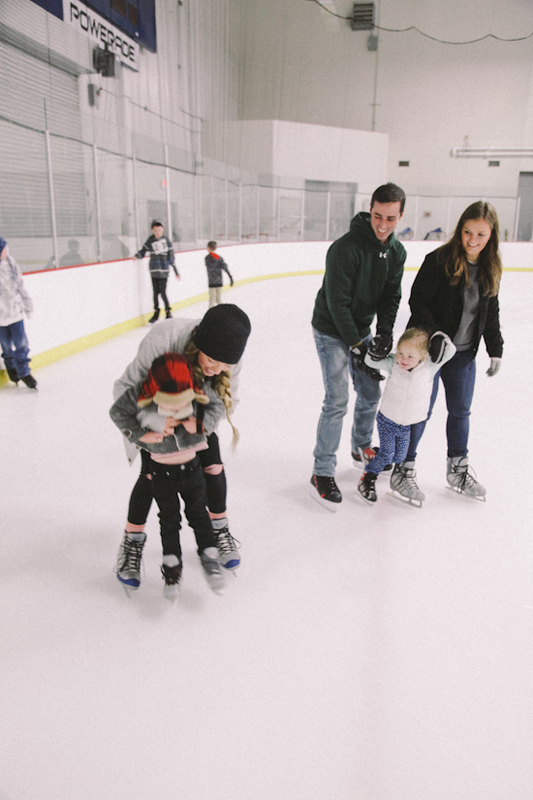 Not pictured: that moment when Everett and Isla were both hanging out with their Nana and Papa in the pizza parlor at the same time and me and Tyson held hands and skated around the rink by ourselves. It was very Meryl and Charlie for like, 10 solid minutes. 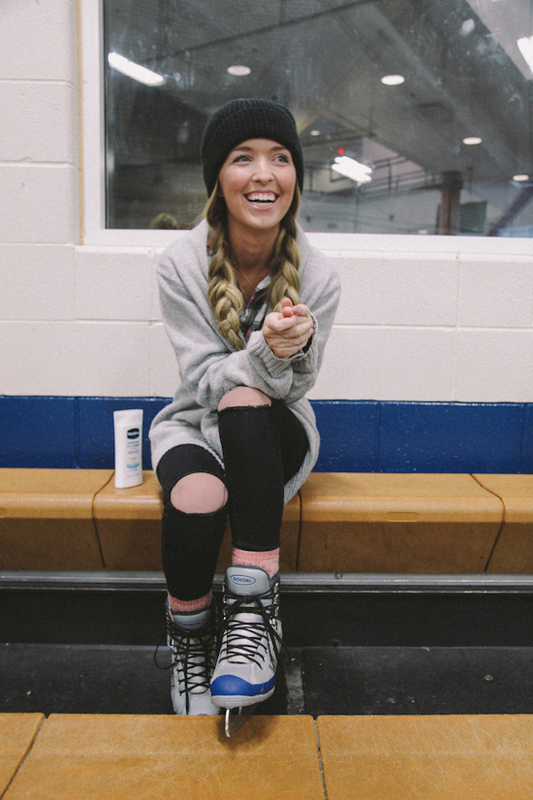 I don't normally take photos of myself while lotion-ing, but when I do, I do it at the public ice rink. While laughing. Many thanks to Vaseline for always being there for us. Especially when we're hitting the lotion as hard as we hit the Purell. Tis the season my friends! This post was sponsored by Vaseline, a company we've used and loved for years. What brand diaper bag is that? It's so pretty. Can I ask what hair extensions you're wearing? They look great! Honestly, we need a post on those BEAUTIFUL braids alone. I love them! Corporate events are usually handled by an experienced adviser who has specialization in organizing activities. An experienced adviser for corporate events NYC has the necessary skills to competently research and plan an effective event from beginning to end.